In this advanced class, you will learn advanced modeling techniques, advanced animation, mapping, and advanced lighting. 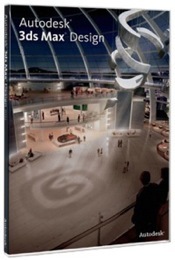 Autodesk 3ds Max Design is Autodesk's premier design visualization platform. It offers world-class, state-of-the-art technology for creating photo-realistic still renderings and desktop animations. While it includes its own tools for 2D and 3D modeling, Autodesk 3ds Max Design can also work with geometry imported from many other applications. 3ds Max Fundamentals or equivalent experience.